Recommended to: Readers who like fast paced, well-written stories with plenty of action. Whew. Let me tell you, this is one fast-paced story. 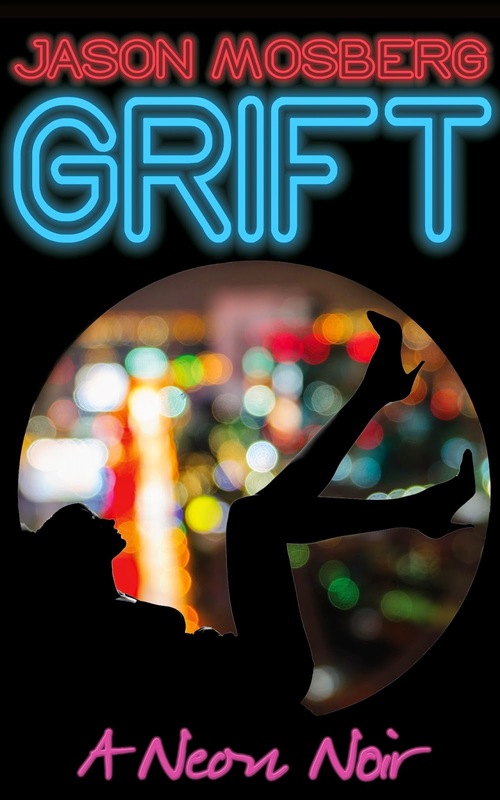 I originally opened Grift with the intention of reading a bit before bed. Bad choice. It didn't take long for me to realize that I was completely wrapped up in Piper's life. I was utterly mesmerized by the idea of a group of teenagers living on the money from successful cons. Who wouldn't be? To live in a penthouse sweet of one of the most tempting cities in the world? Well, that's pretty amazing. To live there because you're a successful con artist at the age of 17? Even more amazing. It helped things along that I really liked Piper's character. She was so full of life, and the fierce love that she had for her sister made my heart happy. While I didn't always agree with Piper's life choices, her want to give her sister a better life made it more palatable for me. Honestly, I can't say anything but good things about all the characters in Grift. They each have their own vivid, likable personalities. Couple that with their unique con artist abilities, and you have the recipe for a story that's hard to put down. I think my favorite part overall though was the fact that there wasn't too much romance bugging up the works in this story. True to its glittering setting, this is the story that never sleeps. Action abounds, twists are around every corner, and Mosberg creates the perfect amount of tension to keep you reading on. I had nothing but love for the little bit of romance that did make a debut. I'm just happy it didn't keep Piper from being her own, completely amazing person. Grift gets a solid four stars from this reader. It held all the things I needed to be completely entertained from beginning to end. I'm honestly hoping there's more coming.